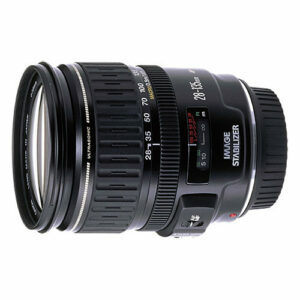 Lens Description: Standard zoom lens with an Image Stabilizer and high zoom ratio. With the Image Stabilizer turned on, you can obtain sharp, natural-looking pictures in dim lighting without using flash or a tripod. Very handy for places where flash is prohibited. Uses ring-type USM for swift, silent autofocus and full-time manual focus. 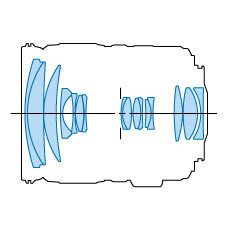 Closest focusing distance is 20 in. (50cm). Minimum Focus Distance 0.5m/1.6 ft.